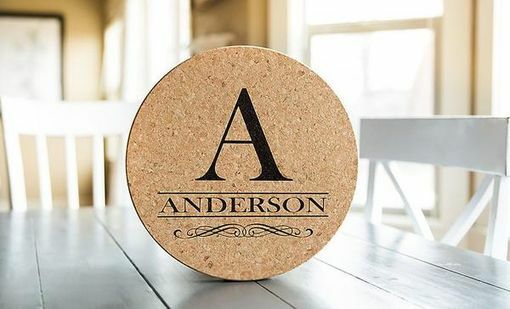 Our Personalized Jumbo Cork Trivets are not only the trivet you will reach for time and time again, they are also the perfect décor item for your kitchen. 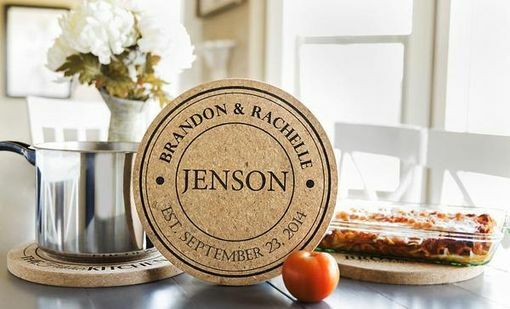 These specially made trivets are big enough for your largest pot of soup, yet so versatile that smaller items look stylish on them as well. Protect your counters from hot items and then display them as a lovely centerpiece in your kitchen when not in use. 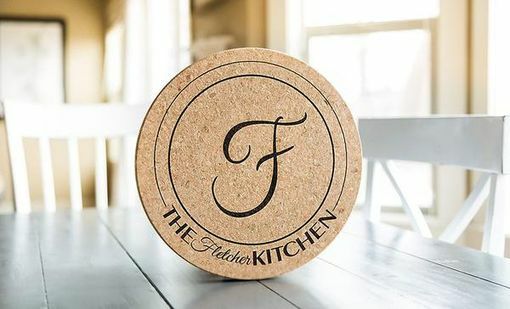 These trivets are beautiful enough to use on your dining room table and every one that sees them wants one of their own! 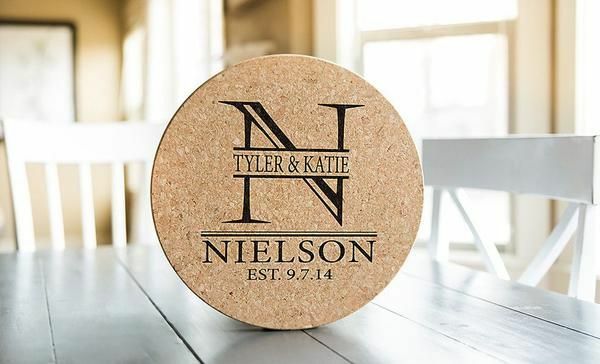 Choose from 7 stunning designs and personalize any way you choose. These make superb and much-appreciated wedding, Mother's Day, birthday, and housewarming gifts. 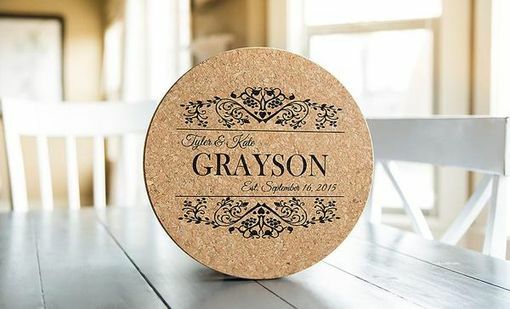 Don't forget to order a set for yourself! 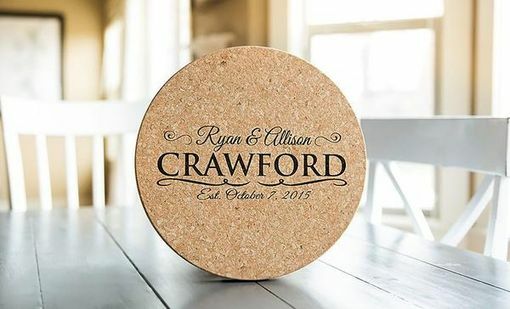 Made from 100% solid cork. 11.5" diameter and 3/4" thick.